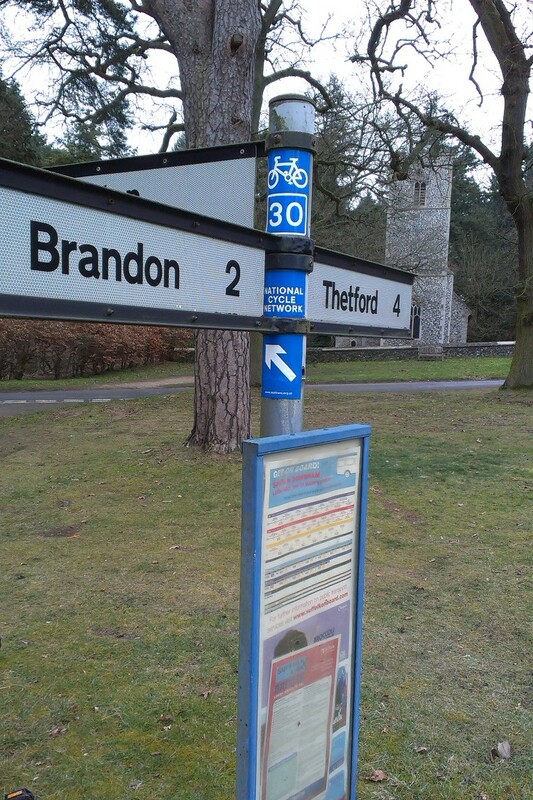 I’ve just added details of five different circular cycle routes to the Thetford Loops page of this blog. 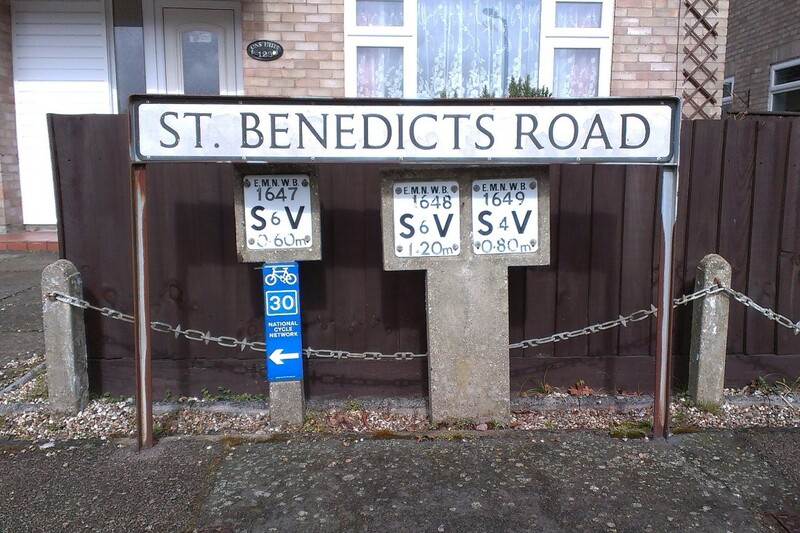 Unfortunately none are perfect, so there are usually one or more of a major road to cross, short sections of cycling along a busier road, or some rough off-road tracks. 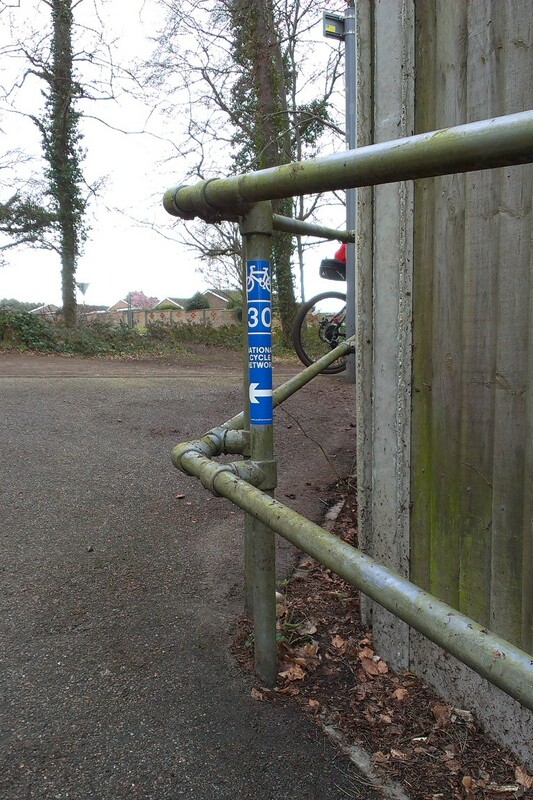 But hopefully some of these routes will be useful ideas for people to try. 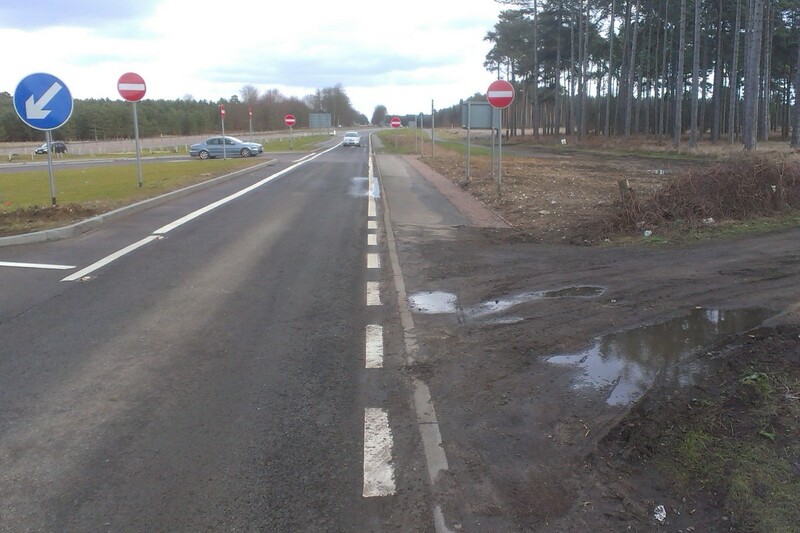 I went out today to have another look at the new cycleway parallel to the A11 between the Sainsbury’s roundabout in Thetford (map) and the new A11 slip-road at Elveden Gap (map). This is something I’ve previously blogged about. Unfortunately, not much progress has been made since the previous post. 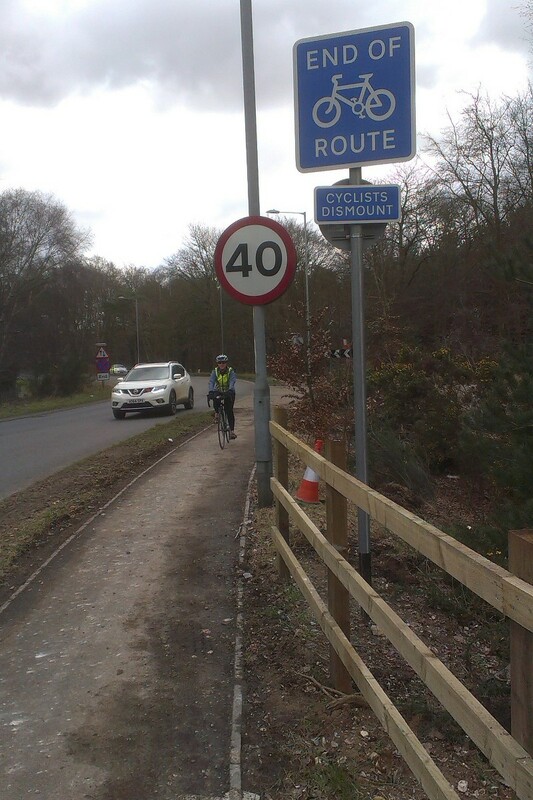 At the Thetford end, the new cycleway ends abruptly at the roundabout, with an annoying “Cyclists Dismount” sign. The northern end of the cycleway, at the Sainsbury’s roundabout. There’s then no way for cyclists to legally and safely get from the roundabout to the centre of town. The choices are either cycling along London Road (used by heavy lorries and with only a 40mph speed limit), or to cycle on the pavements. 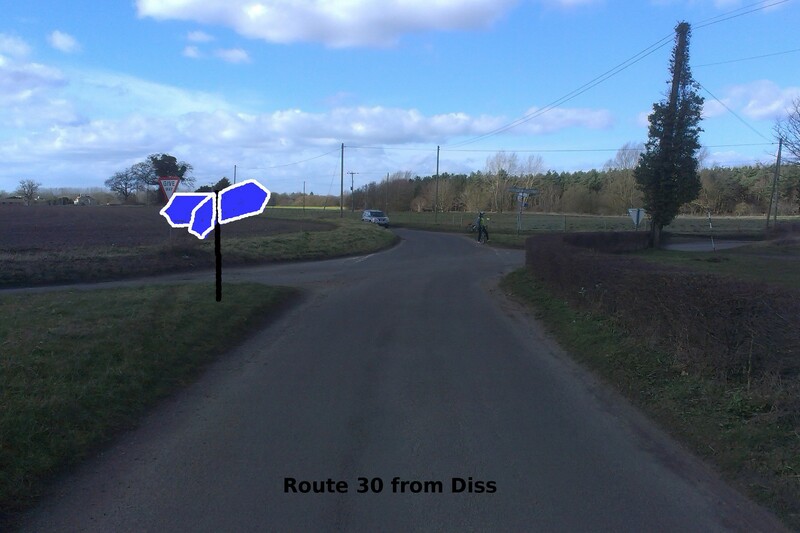 I asked the Highways Agency contractor whether they had any discussions with Norfolk County Council regarding the route there, but they never got back to me. I contacted Norfolk County Council a few months ago, who said they had no plans to add a cycle route along London Road, and the necessary investigation, planning, and installation would be likely to cost in the region of £100,000. 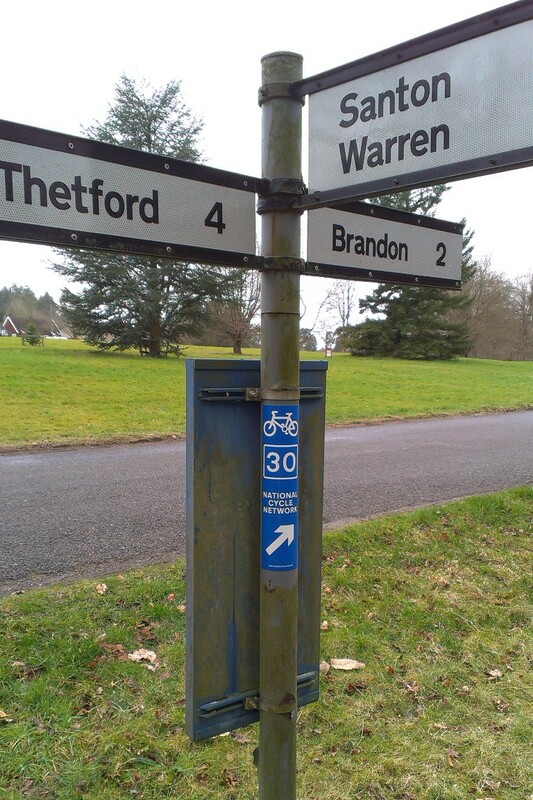 At the southern end of the cycleway at Elveden gap, there is still a problem with how the route re-joins the carriageway. Things are a little better than they were, as the shared-use footway parallel to the narrow one-way section of the road has been widened and a better turning radius has been provided to allow south-bound cyclists to turn left along it more easily. The view southwards from the southern end of the cycleway. 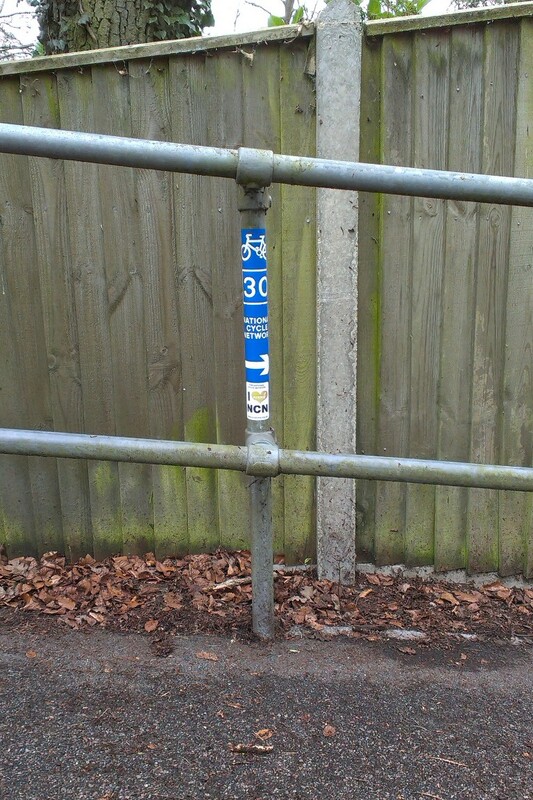 The pavement on the left is shared use. 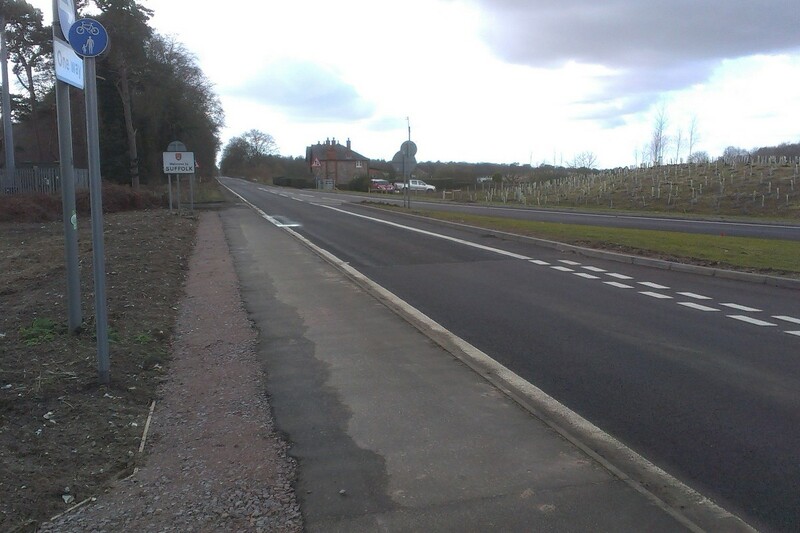 The road on the right is the end of the new sliproad off the A11. 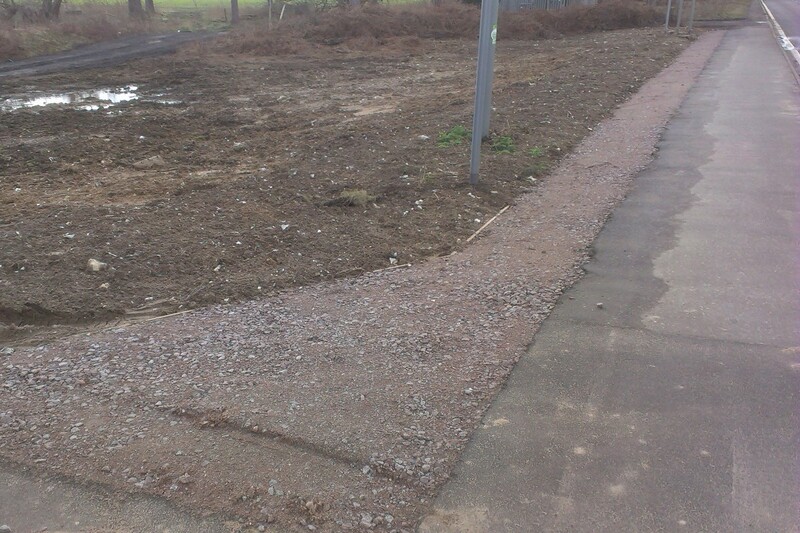 A close-up of the widening and turning radius provided at the southern end of the cycleway. However, the additional width and turning space parts have only been surfaced with compacted material, and it’s unclear whether they will be properly surfaced in the future. There’s also an issue that the natural place to re-join the carriageway is at an entrance used by agricultural vehicles, which is currently rather muddy and uneven. The view northwards up the sliproad towards the southern end of the cycleway. The compacted surface and the section where cyclists rejoin the carriageway all need to be properly tarmaced, some paint markings should be provided to direct south-bound cyclists along the shared-use path and road users away from rejoining cyclists, and some cyclist warning signs should be installed on the slip road. I will be following these issues up with the Highways Agency. 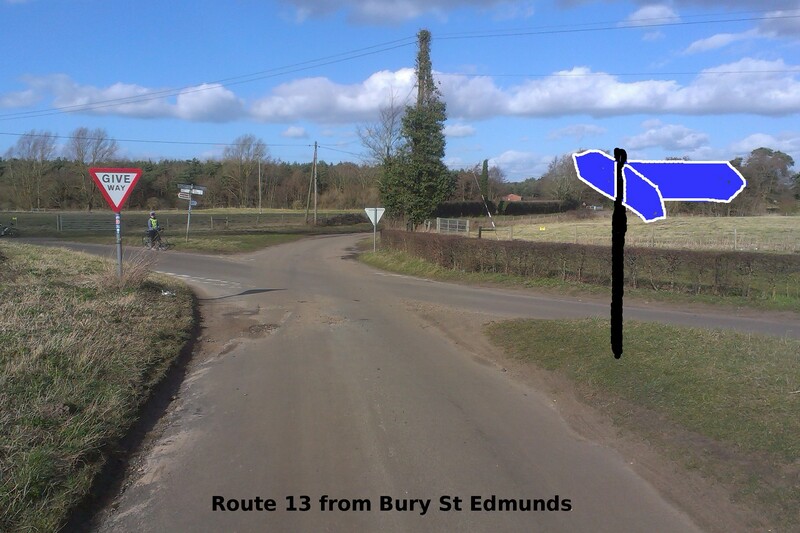 Update (2015-05-01): The Highways Agency tell me that Suffolk County Council are planning to work on the cycleway at the southern end this Summer. I’ll see if I can find out the details. 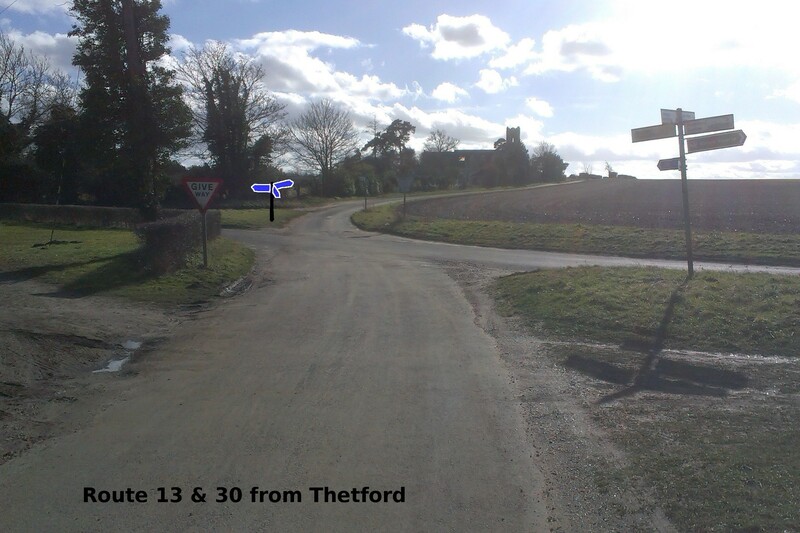 Update (2015-10-05): I’ve had some more information from Suffolk County Council, and it looks like they are planning to extend the shared-use off-road path further south to the C633 junction. Full details.